Again, grab a meter and check for ground continuity from the switch to various case ground points (including the coil lamination) to see what you have. This is the third new ignition coil so I know I’m not grounded somewhere. There is only two wires coming off the coil. The one that connect to the on/off switch and the spark plug wire. There is a white wire that connect back to the coil (see pics). 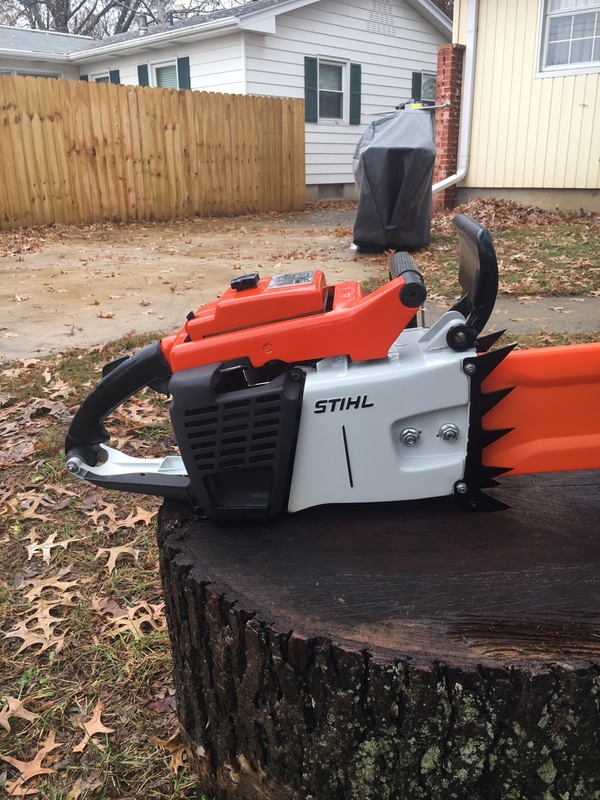 Should there be a ground wire somewhere and if so, where does it connect to in the coil and then the chainsaw? Any help is much appreciated. I gather you don't have a multi-meter. Somehow the coil is not on the same ground as the switch or the switch is bad. Bear in mind the case (where the coil is mounted) is isolated from the handle (where the switch is mounted) by the A/V system. 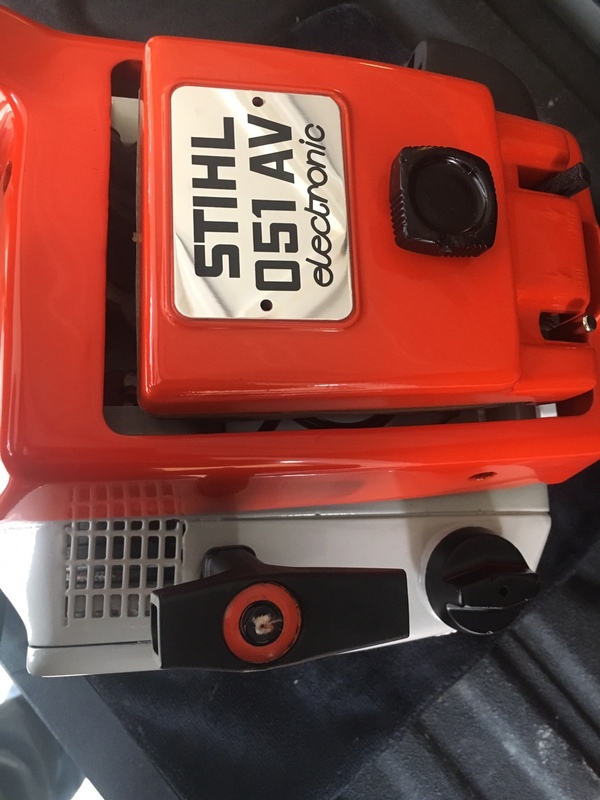 Pretty sure there should be a strap or wire connecting the two for the purpose of shorting the ignition when using the electronic coil. 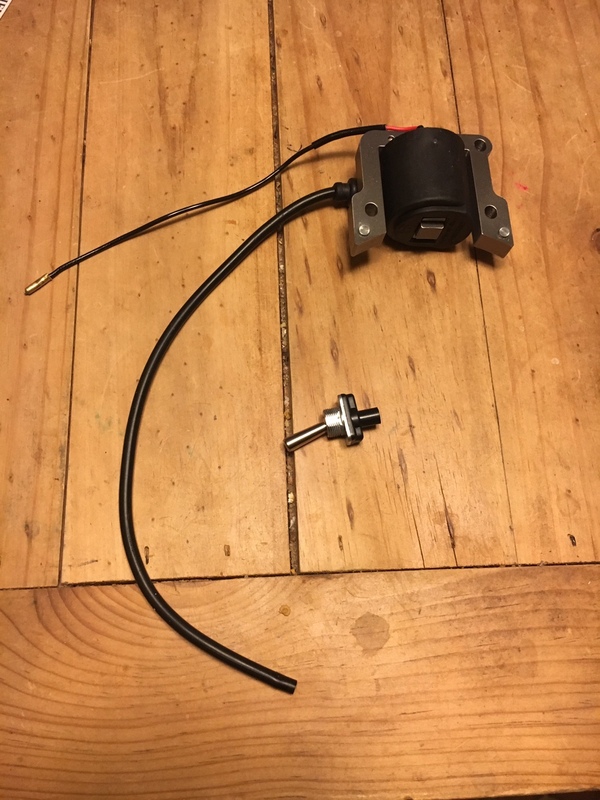 This would have been established by the connection of the kill switch to the older points based ignition system itself. Run a wire from one of the coil mounting bolts to a contact point somewhere on the handle. That should effectively establish the needed ground path between then case and handle. 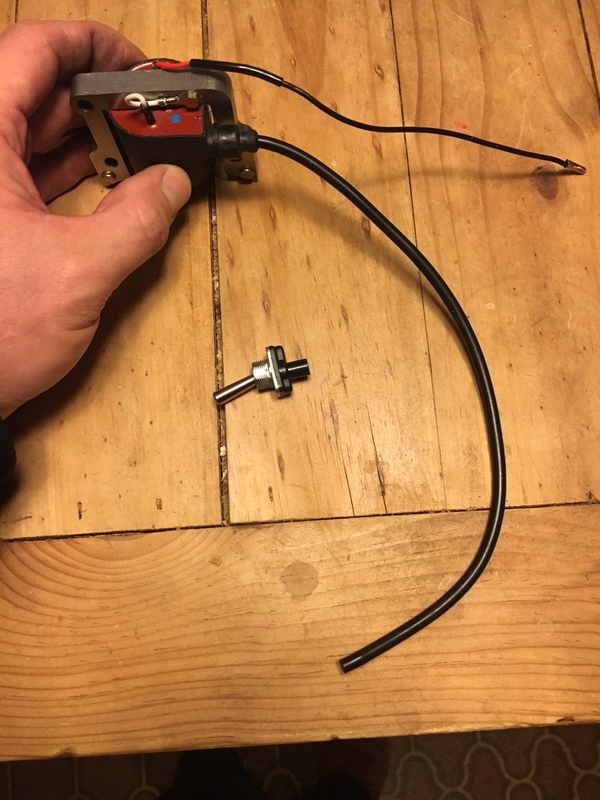 You could just use a piece of wire attached to a coil bolt with the other end stripped bare and touch it to the switch in the 'off' position as a test. 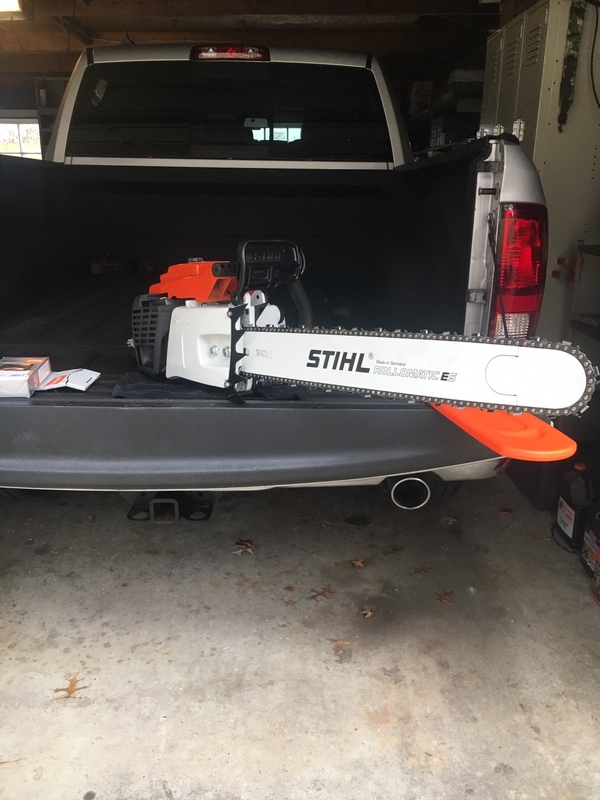 Should kill the saw. Items 60, 61, and 62 would be the kill switch ground scheme for the points setup with the '62' wire ultimately connecting to the switch. Thanks for the diagram. I had sure been scratching my head. Turns out, 2 brand new toggle switches were bad. Once again, third times a charm. I’ll post some pictures tomorrow. Thanks everyone! She’s finished. Thanks for everyone’s help throughout the process. Thank you. Here’s a before picture. Just like my grandad left it. Very nice job. Glad you got the ignition worked out. Why'd you go with the black muffler cover? To stop the white getting black stains on it from the exhaust? Think I'd go with painting the lettering and sight on the sprocket cover black, too. Yes. Decided on the high temp paint for the muffler cover to avoid the Black getting on there. And I’ve thought about painting the lettering but not sure my hand is steady enough. It would definitely look better though. 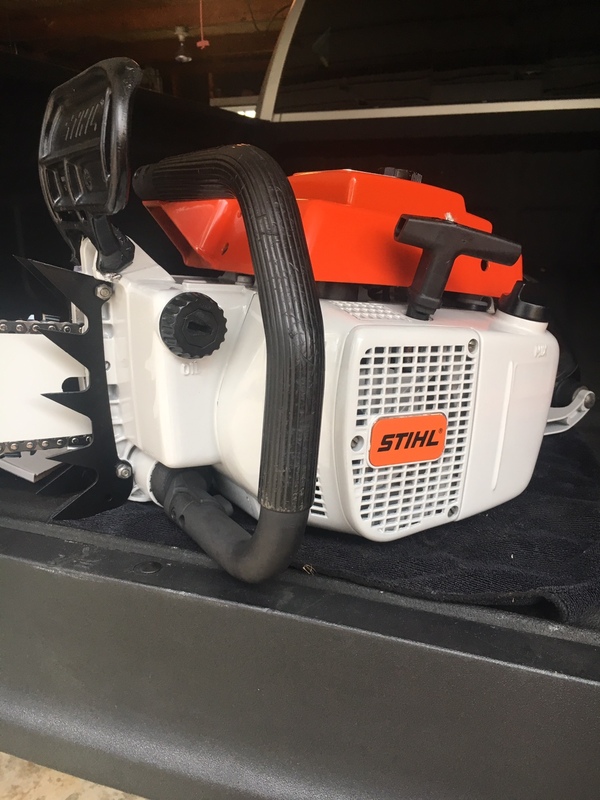 Are you going to use the saw? I think you will still get a bit of black staining on the bottom back of the clutch cover, at least mine do. But yours is almost to good to use, you will need to another one for use and keep that one on the shelf. I was fine tuning the carb yesterday and was having a hard time because I wanted to do it with the chain on but didn’t want the staining on the clutch cover. Ridiculous I know. 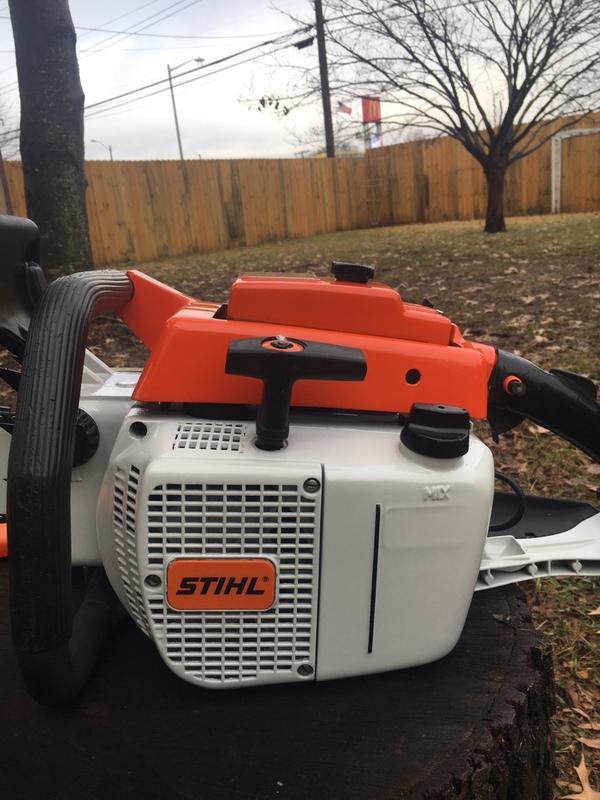 I have a Stihl 290 that I use so will probably just keep this one prettied up. I do want to bury it in a big log just to see how it does though. Decisions decisions. I dang sure don’t want to paint it again though. Lol. I forgot to post this the other night. 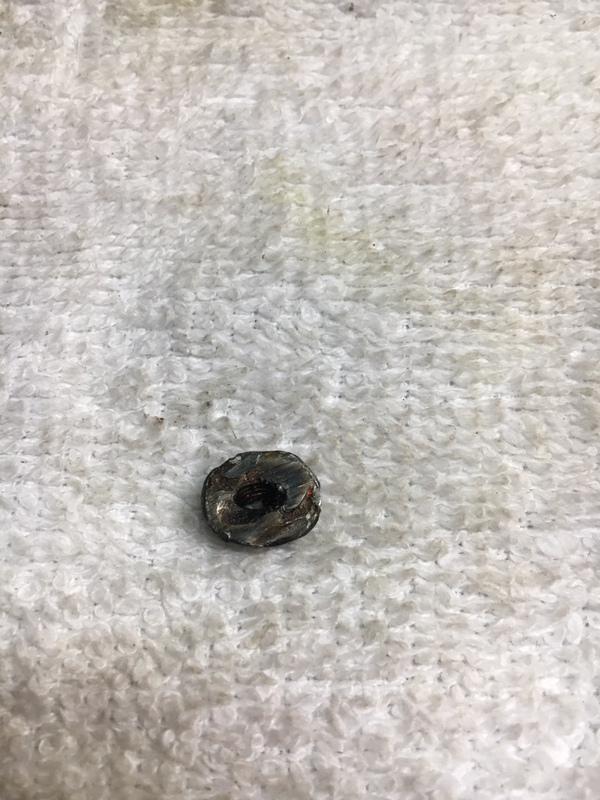 I found this nut in the cylinder housing. 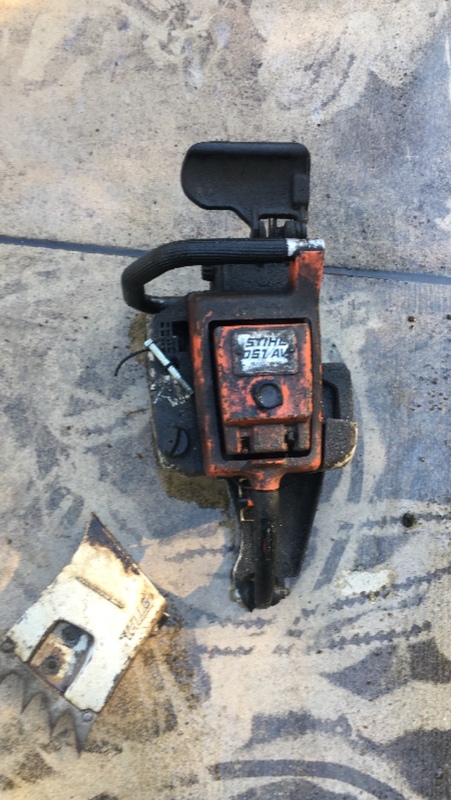 This was the culprit to the initial demise of the saw. 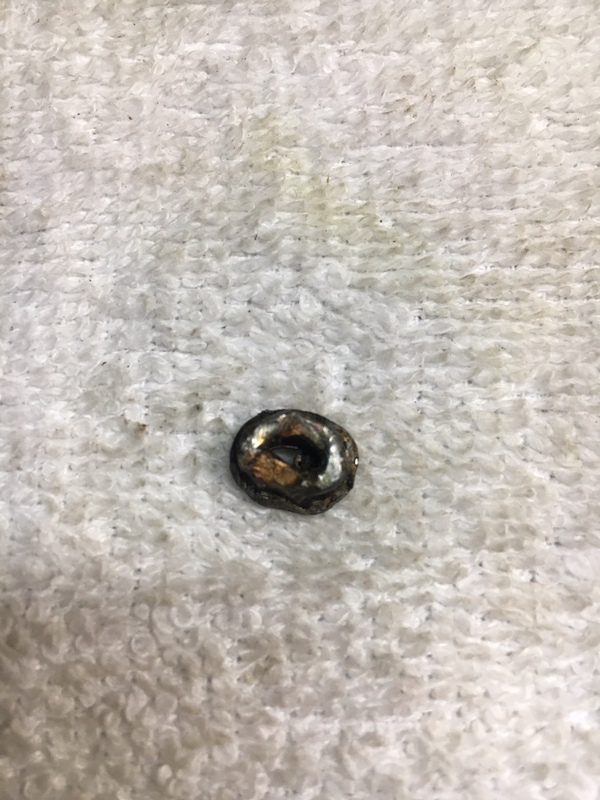 It’s one of the bolts that holds the carb in place. It had become loose, fell through the carb, and into the cylinder. Funny how you find these things as your digging through engines. Safe to say, the new nuts are nice and snug. Damm that hurts just looking at it. @PogoInTheWoods I took your advice and glad I did. Think it looks better with painted letters. I didn’t have the courage to paint the “Mix” letters. Too small. Just noticed the bolt for the rope crank!